The Magic City has evolved into one of the most desirable places in the world to live, work and play. In fact, according to the 2018 ISG World Miami Report, close to 900 people move to Florida each day, with 45 percent of them moving to Miami-Dade, Broward and Palm Beach counties. Move over, South Beach. 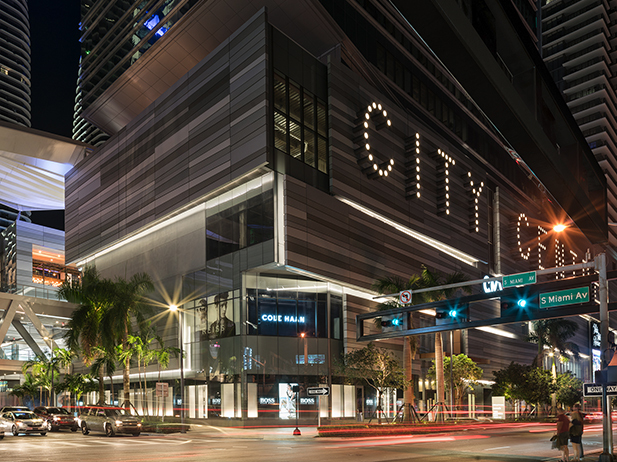 Miami's downtown core is one of the fastest-growing destinations in the country. Florida'a population is growing at a rate of 900 people per day, second in the country only behind Texas. 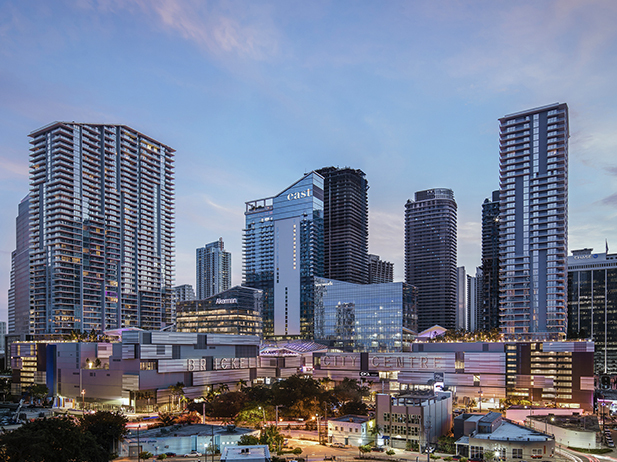 Within Florida, Brickell is the hotspot, with the most new construction condos, and nearly tripling its population between 2000 and 2016. The boom shows no signs of stopping. Branded residences from the likes of Armani, Fendi, Aston Martin, Porsche, Missoni, and others are all on the rise in South Florida. But the influx of new properties won’t last long. 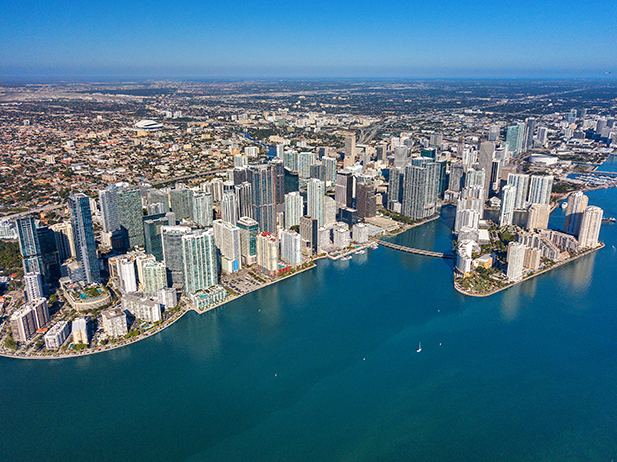 “Based on the average absorption rate for the last three years in the regional real-estate landscape, new condo supply will be absorbed within the next 12 to 24 months,” says Craig Studnicky, principal of ISG World and publisher of the annual Miami Report. So if you want to purchase a condo in South Florida, you’d better act fast. In 2019, we expect to see the return of demand from Brazil, Mexico and Colombia. That, plus shrinking inventory, should create a very robust year for condo sales,” Craig Studnicky, co-founder and principal of International Sales Group and RelatedISG, tells GlobeSt.com. 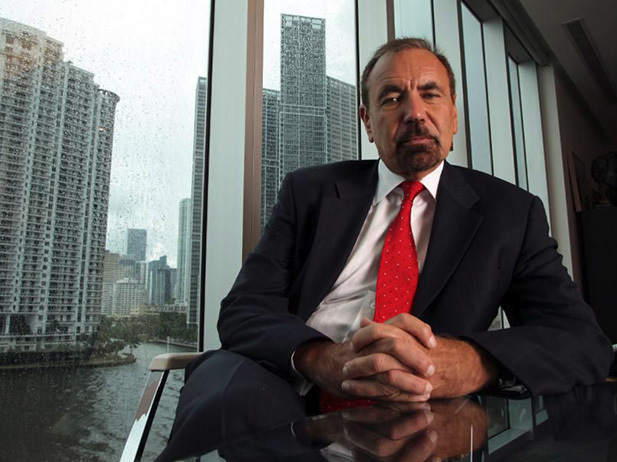 Home buyers are likely to absorb Miami’s abundance of unsold condos within the next two years, as developers hesitate to break ground on new projects, according to predictions from developer and consultant ISG World. Analisando o mercado imobiliário do sul da Flórida há mais de 25 anos, a ISG testemunhou o florescimento de Miami, antes visto apenas como um destino de férias e que passou a ser uma das áreas de maior expansão comercial e imobiliária do mundo, colocando a sede do condado de Miami-Dade como uma das maiores cidades emergentes em nível global. About 83 percent or 16,714 of the roughly 20,000 units in the pipeline were presold as of April, according to the ISG Miami Report. While the percentage is up from the 80 percent that ISG reported last May, the total pipeline shrunk by about 3,200 units. ISG World and Reach & Rise, Residences at Brickell City Centre presented the 2018 Miami Report and introduced the new Brickell City Centre residential sales team to over 700 real estate professionals from across South Florida. 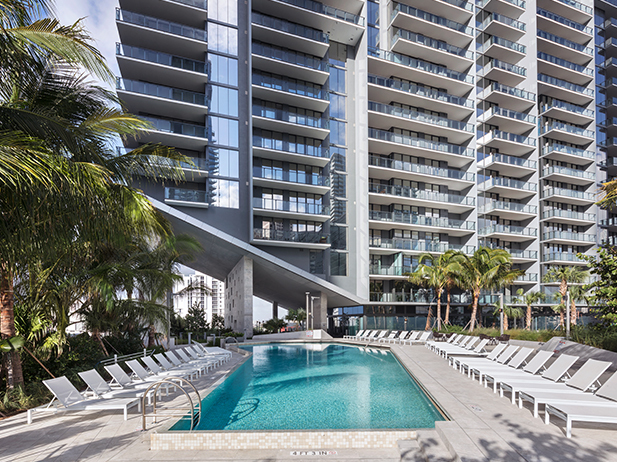 Even after two years of slow new condo sales in eastern Miami-Dade County and Fort Lauderdale, the market is approaching a shortage of new inventory because there’s been little new construction, according to ISG World. 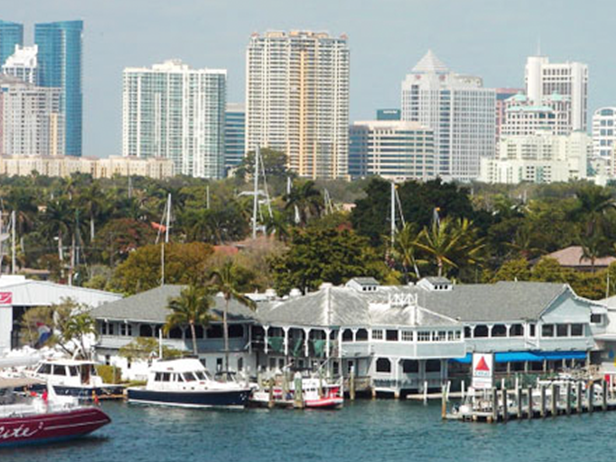 "Fort Lauderdale has always been compared to Miami Beach, but now its value in terms of price per square foot is at an all-time high," Craig Studnicky said. "From 1990 to 2010, the annual difference in price per square footage between these two destinations was roughly 25%. In May 2016, this difference jumped to 261% due to the slew of new inventory. This means that a buyer can get the same ocean views, amenities, finishes and services in Fort Lauderdale but at almost half the price." The "lifestyle", that's what the big luxury developers call it. They're no longer in the property building business, they're in the lifestyle building business. In the market for a new home in South Florida? Don’t forget to turn your eyes north. 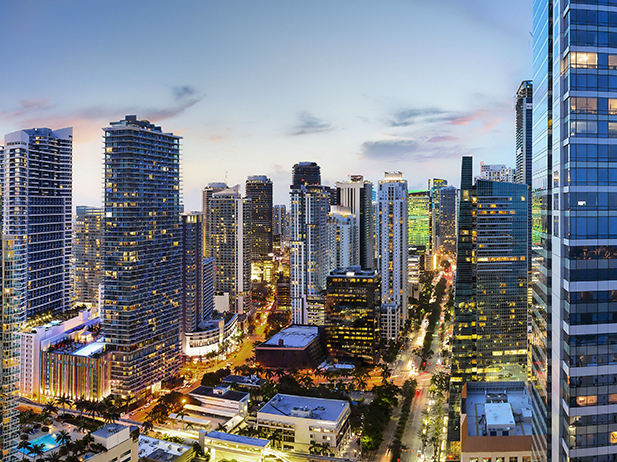 Fort Lauderdale is no longer just a spring break destination; it has evolved into a world-class city with superb dining, shopping, performing arts, and luxury homes. But there’s one more factor that may pique the interest of luxury condo buyers. 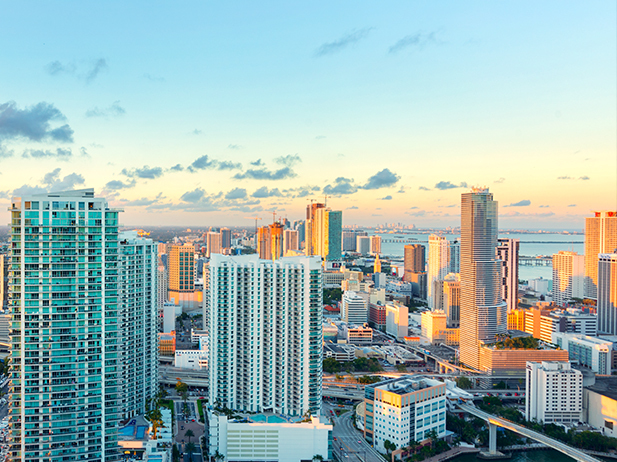 Studnicky stopped to catch up with The Real Deal South Florida’s Managing Editor Ina Cordle to break down his perspective on why Miami is in good shape to weather a contracting luxury market.